Please allocate my account...... (Your account number with Z.com)in IB group “pforex”. Z.com, owned and operated by GMO CLICK Group, is a Forex broker that is registered in England and Wales under registration number 8261027 and Valued Added Tax (VAT) number 193 9647 52. This company is regulated by Financial Conduct Authority (FCA) under license number 622897. The new FCA regulations bring tougher broker activities monitoring to promote the safety and privacy. Under new regulations, traders can even be more comfortable in selecting a reliable broker. This company, established in 2012, provides low cost trading and advanced financial market services as well as diverse, cutting edge and secure trading platforms; MT4 and FIX API Trading. 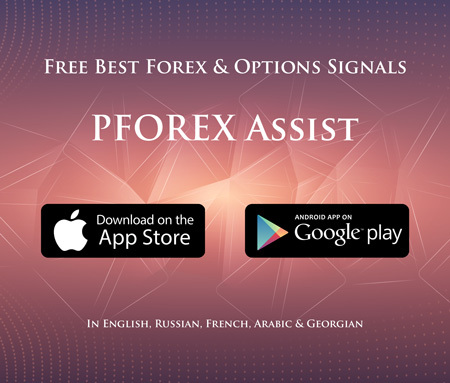 Traders can trade with the help of various tools like PFOREX Assist signal provider to increase their trading gain. The high performance tools in addition to low spread on various trading products bring a comfortable trading experience that leads to more focused trading. One the most important factors to select a broker is to check if that broker helps you to focus on trading or makes you waste your time for trivial issues like payment delays and pending accounts. Fast execution systems with real-time quotes are other major advantages of this company. While some scam brokers wait for your unsuccessful orders to take your money, stop delivering your orders to the market, Z.com is one of the most reliable and trustworthy brokers with various regulations. The clients' feedback shows their dedicated and fast responses from the support team; Polite, fast and dedicated personnel. The world class support proves their regards to their clients, who are the first priority. Z.com is a brand of GMO CLICK, which has been recognized as the world's largest forex provider by volume for five consecutive years since 2012. The group has over 500,000 traders worldwide, and averages over $1 billion in monthly trading volume. This company has offices in Tokyo, London and Hong Kong. They offer wide range of products across currency pairs, commodities, indices and stocks with competitive spreads, fast order execution and transparent services. They present dedicated support to their clients by financial and technological experts via phone call, live chat and email 24 hours a day and 5 days per week. Their clients can exploit useful educational materials and tools such as analysis guide and economic calendar to improve their trading knowledge and skills. Traders can open different trading accounts based on their preference between the Classic, ECN, and ECN Pro Accounts. On the Classic Account, fixed spreads are offered on FX majors, and the ECN accounts offer floating spreads starting from 0.0 pips. They utilize advanced secure systems and encryption protocols to guarantee safety and privacy of their clients' funds and information. All these advantages shows their profound experience and knowledge. In case of long-term goals, a company must bring client oriented and top services. Saving money and taking profit are achievable by applying best Risk & Capital management. With various trading courses provided by their partner, PFOREX Assist, you can improve your knowledge and skills. Trade on the world's most popular trading platform with the World's Largest Forex Provider by Volume with fixed spreads on the Classic Account, or floating spreads from 0.0 pips on the ECN Accounts. Traders can use this automated trading platform on numerous instruments with direct market access and secure protocols.